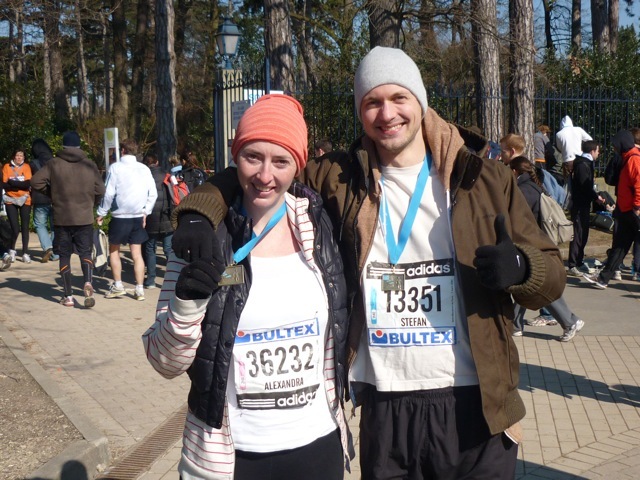 For my second half-marathon Alex and I headed to Paris. Home of Notre Dame, the wonderful Shakespeare and Company bookshop and the best Quiche I’ve had in a very long time. Though it was officially the beginning of Spring, you’d think it was still Winter, what with the one degree celsius temperature which almost froze my bare hands right off during the race. What kept me going over those 21 kilometres, besides the cheering crowds, various marching bands and sugar cubes in my pocket was my trusty ipod shuffle. Song of the race must go to Animal Collective, whose My Girls kicked in at the 19 kilometre mark just when I needed some musical moral support. On a high from the race we showered and headed to bohemian Monmartre for a late afternoon feed and celebratory beers. This was followed by champagne and a small mountain of french cheese backed by an impeccable techno soundtrack at the apartment. Props to Alice and Etienne for their true “francais” hospitality.